Some myths refuse to die. 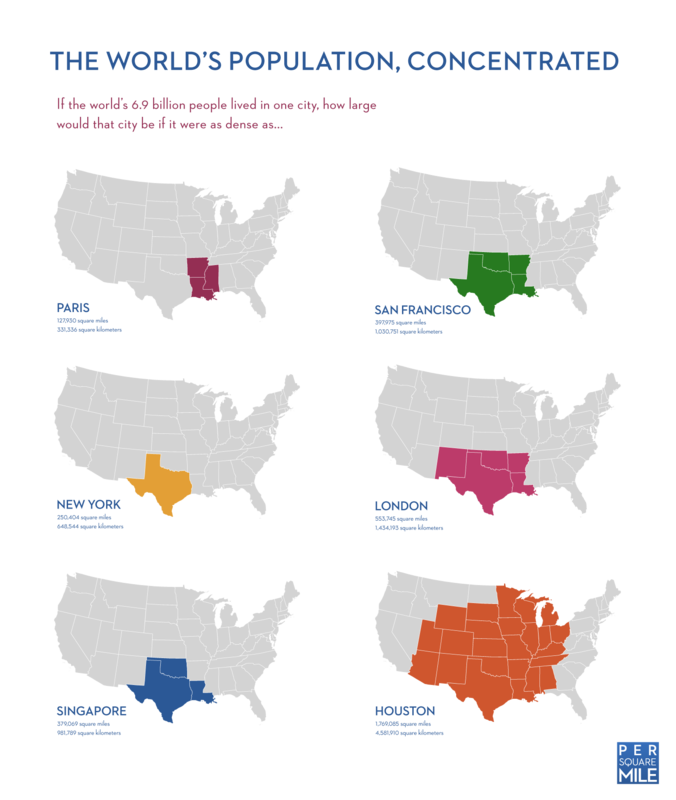 The Overpopulation™ Myth is one of the more pernicious, as it leads inevitably and inexorably to calls for what is the functional equivalent of genocide. And, that’s just bad for business. Granted, Overpopulation™ advocates tend not to come right out and actually say it, but it is there, as it has been all along. Never mind that life expectancies and incomes — worldwide — are higher today than they were a half-century ago. Back then, our parents told us to eat all of our vegetables, because children were starving in China and India, and South Korea and Japan were Third World countries. Today, we tell our children to earn graduate degrees, so that they do not lose their jobs to the Chinese and the Indians, and obesity (i.e., too much food) has become a major health hazard worldwide. Never mind that women spontaneously bear fewer children as incomes rise, as shown in Figure 1 below. In many countries today — mostly in Europe and Northern Asia — the population is decreasing due in large measure to very low fertility rates. Buried near the bottom of the Sunday Times article linked above is the real issue that the Overpopulation™ Myth was cooked up to obscure: “The fertility rate for women born outside Britain is estimated to be 2.5, compared with 1.7 for those born here [in the UK].” [emphasis added] The code phrase is “born outside Britain.” It is fairly obvious whom Mr. Porritt is referring to here; it isn’t the Poles, the French, or even the Irish. After a half-century of the same discredited fear-mongering, it has become incontrovertible that the Overpopulation™ Myth is very thinly veiled racism. As unpleasant as race supremecists of all colors, religious radicals, and neo-fascists are, at least they have the conviction to come right out and say it. Overpopulation™ advocates exploit baby fur seals, the victims of political oppression, and obscure species as shields for their real agenda. A bit of arithmetic is instructive here. Today, the world population is approximately 7 billion humans. The population densities of Hong Kong and Singapore are approximately 6,500 individuals per square kilometer. These are wealthy, modern cities, proving that a lot of people can live well in a tight space. If all of the individual humans in the world were contained within an area that were a bit larger than 1 million square kilometers, that would result in a population density comparable to those of Hong Kong and Singapore, and it would leave the entire rest of the surface of the earth available for energy and food production, manufacturing, and waste processing. Egypt (1 million sq. km.) or Bolivia (1.1 million sq. km.) would do. The US Southeast (Alabama, Florida, Georgia, Mississippi, North Carolina, South Carolina, and Tennessee) would do. 1/2 of Argentina would do. 1/7th of Australia would do. That would leave all of the Sahara Desert available for solar energy production, the unoccupied land in the Subtropical and Temperate Zones available for food production, and the uninhabitable bits for waste removal. Let us do the math. 7 billion individuals, each of whom consumes 2,500 calories per day (being a bit generous here), would require approximately 6.4×1015 calories per year. Assuming that one were able to grow only one crop per year on a given piece of land, and depending on the staple in question, Table 1 shows the number of square kilometers (sq. km.) needed to grow enough of each crop listed to feed the world, assuming that only that particular crop were grown. Basically, we could relocate everyone to Argentina, turn the USA into a giant farm, and have the rest of the Americas and all of the Eastern Hemisphere left over for energy production, manufacturing, and waste disposal. The Sapir-Whorf Hypothesis holds that language affects thought, in part because we tend to think in terms of the languages that we speak. Whether thought is constrained by language or merely influenced is a matter of some debate beyond the scope of this post. The point here relates to Methodological Individualism, which is the theory or practice of ascribing all human action to individual action, rather than amorphous collectives like races, genders, nationalities, countries, companies, etc. In other words, one would look at the motives of the individuals within a major Wall Street bank for explanations of the causes of the 2007-2008 market meltdown, rather than at ‘Wall Street’, ‘Wall Street banks’, ‘the government’, ‘capitalism’, or whatever. Employing Methodological Individualism leads one to ask, “If I want to communicate with X, what is his or her email address?” Try it. Sounds gloomy, bordering on nihilistic. If I want to communicate with the United States of America, what is its email address? Unlike Mr. Stephenson’s, my lifespan encompasses the era when a seeming army of NASA employees — who were provided with a clear mandate and huge sums of money confiscated from working Americans through taxation — were capable of launching human beings into space. It now includes the era of the first commercial space flight companies in human history, all of which are based in the USA. An interesting assignment would be to rewrite Mr. Stephenson’s essay from the perspective of Methodological Individualism, replacing all collectivistic references to ‘America’, ‘us’, etc. with identifiable individuals, even if those individuals are archetypes and not actual living personages.